Feefo is an independent customer feedback system that allows our customers to leave anonymous feedback on the customer service experience they received when shopping with Picture Frames Express. 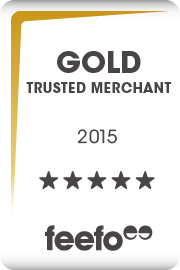 To achieve the Gold Trusted Merchant status, a business must receive an average customer service rating between 95% and 100%. At Picture Frames Express we’re committed to ensuring our customers have the best possible experience when shopping with us, and that’s why we chose to sign up with Feefo. All reviews on Feefo are displayed, regardless of whether they’re positive or negative. We welcome this is an opportunity to show everyone just how amazing our customer service is. We’re chuffed to bits that the hard work and professionalism of our customer service team has been recognised and our certificate will be proudly displayed on the office wall. 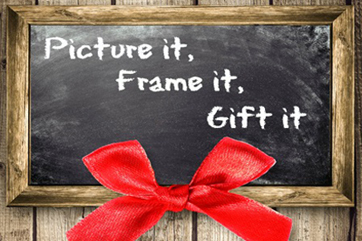 We have lots of exciting developments planned for the year ahead that are going to take our picture framing service to an even higher level. All will be revealed in due course so stay tuned. In the meantime we’re always looking for ways to improve our customer service so if you have any thoughts or ideas please get in touch with us at sales@frame-express.net.